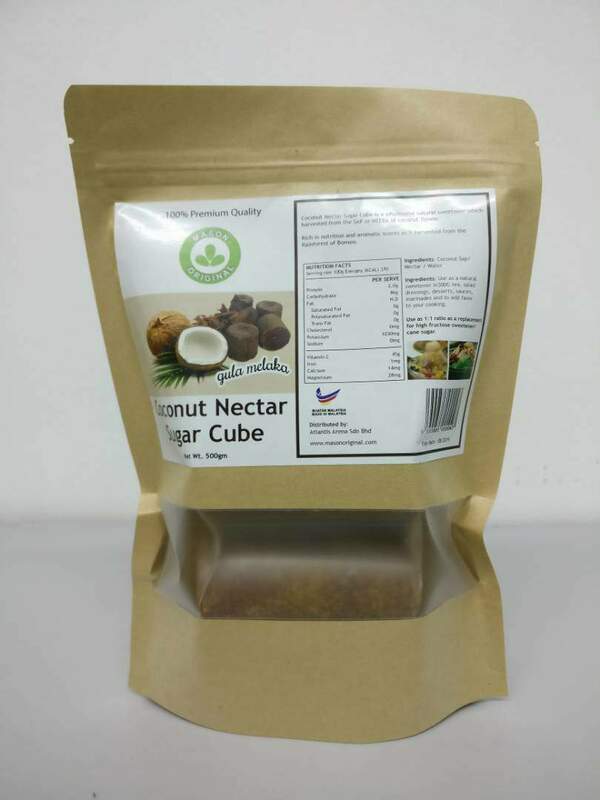 Coconut Nectar Sugar Cube is a wholesome natural sweetener which is harvested from the SAP or NEERA of coconut flower. Rich in nutrients and aromatic scent as it is harvested from the Rainforest of Borneo. Manufacturer, distributor and exporter of food and beverage products, such as virgin coconut oil, moringa tea, ginger tea, roselle tea, coconut cookies, coconut products, moringa products, traditional snacks, etc.